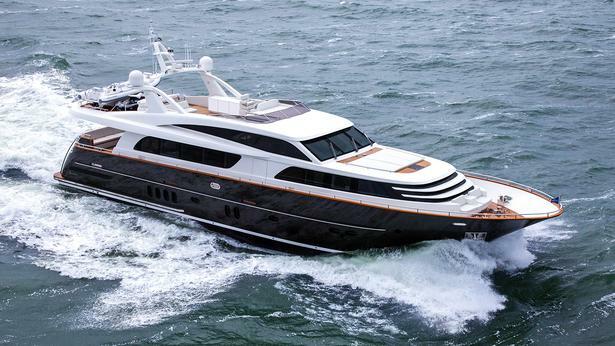 Italian yard Otam has sold a new build Otam 80HT, the sixth hull in the series. 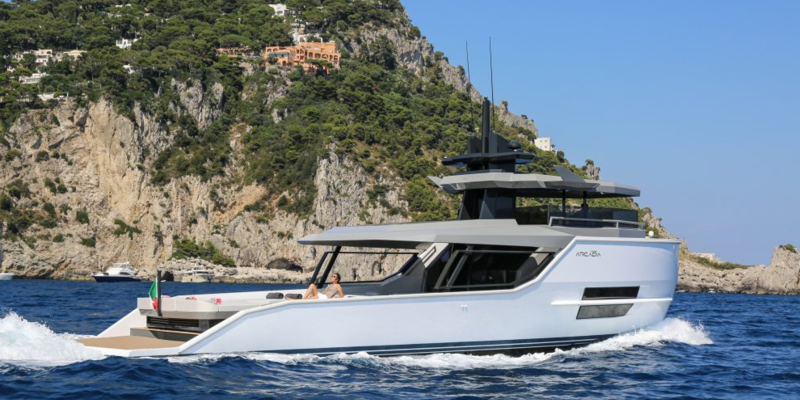 Tailored to the preferences of its owner, the 25.5 metre Attitude is set for delivery in April 2020. 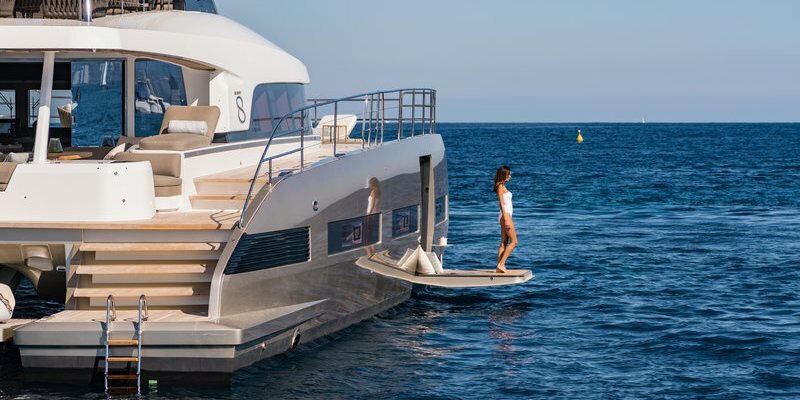 With an exterior designed by Umberto Tagliavini, Attitude features a number of modifications including a custom foredeck design, which will feature a large sunbed and height adjustable table to maximise the use of the outdoor space. The sunbed cushions have been raised meanwhile to form a backrest while the whole area can be shaded by a bimini supported on lightweight poles. Meanwhile the cockpit has been enlarged to include a horseshoe shaped sofa seating area capable of seating 10 guests. Another sunbed is located on the transom while modified safety gates lead down to the swim platform. The tender bay garage under the aft sunbed has also been enlarged to house a 3.95 metre Williams sport jet tender capable of carrying six. The owner also requested an extra crew cabin for the chief stewardess/ chef located next to the Miele equipped galley which features a full size dishwasher, large fridge freezer and a drier. The open plan main saloon features wine cellars integrated into the chaise lounge. Accommodation is for six guests across a full beam master, twin guest cabin and second master forward which has an extended ceiling height of 2.1 metres. 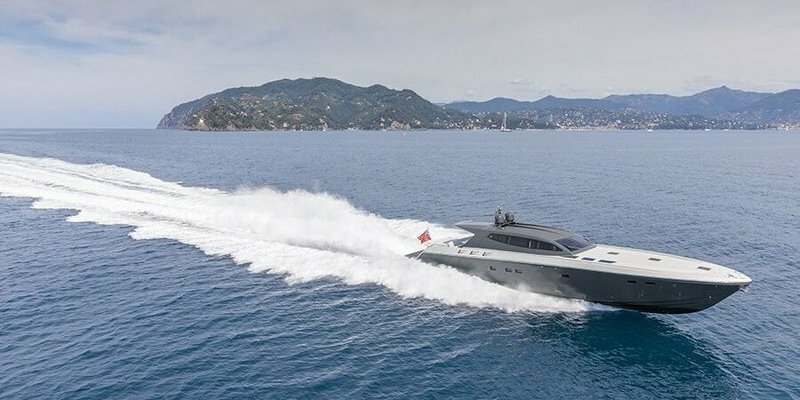 Twin 2600hp MTU engines coupled with Arneson drives will see Attitude reach a top speed of 47 knots and cruising speed of 40 knots.